Any makeup lover knows the struggle to find a good foundation that lasts a long time, looks good and wears beautifully (the trifecta) and I always thought that hitting this trifecta meant spending big bucks on high end foundations. I recently learned about the L’Oreal 24 hour Infallible Foundation, I had seen Tati Westbrook talk about it in one of her videos, I had seen Kathleenlights talk about it too but I kind of brushed it off, it wasn’t until an old friend told me how much she has been loving it and how well its been working for her skin. I had just used up my last pump of my Fenti Foundation and needed a replacement, so it was the perfect time. Plus, John and I have been in serious saving mode lately fully diving into house-hunting mode so I felt a little guilty spending $40-$50 on foundation alone. 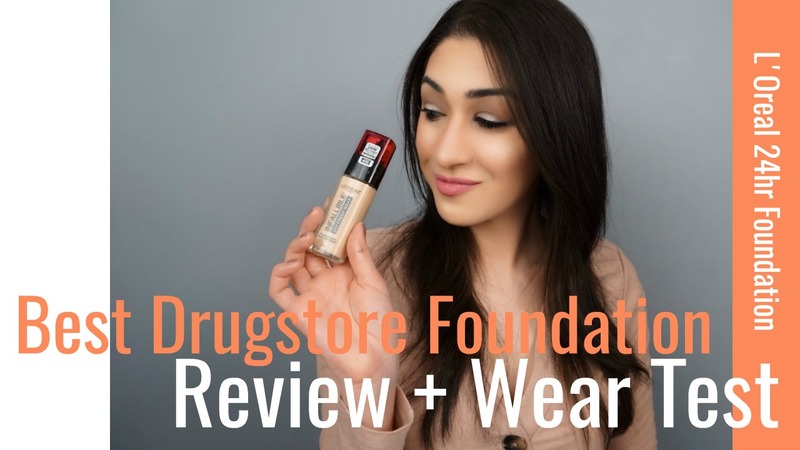 I picked the L’Oreal foundation up at the grocery store of all places and I was blown away! Check out my review and let me know what you think about the L’Oreal Infallible 24hr Foundation.